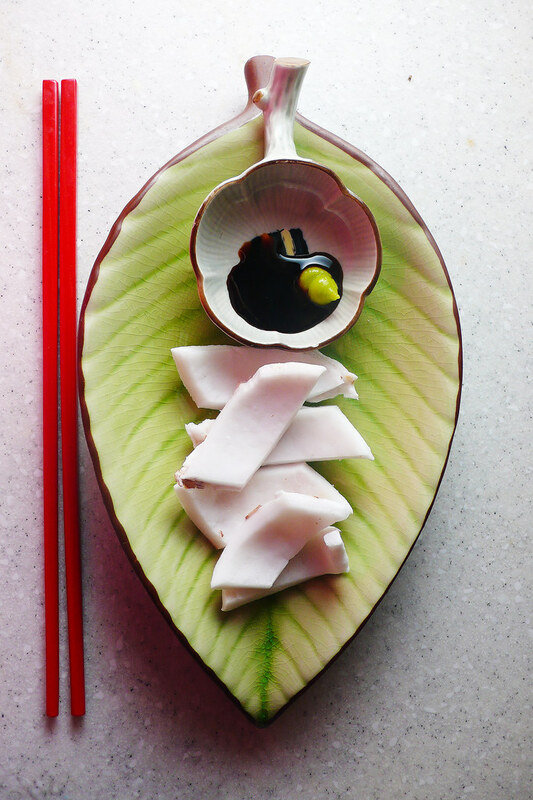 the scent of green bananas: coconut, sashimi-style. Posted by santos. This entry was posted on 20100303 at 1:31 AM You can skip to the end and leave a response. wow! i always do this with avocado, but never thought to eat coconut sashimi style... will try soon! I never thought of having coconut like that. I love coconut and I'm sure it would be great with the saltiness of the soy sauce. Interesting! I can't wait to try this. hi ila, joy, and drea! nice to see you here. the key is to use sushi/sashimi grade soy sauce--something thick, salty, but not harsh. kikkoman and yamasa make good, relatively inexpensive ones. that's a great idea and pretty too. ila's avocado sashimi sounds yummy too. akatsukira-ra-ra-ra, i had 15 coconuts. after the third one, i was sort of over it. $5!!! man, i gotta find a corner of tumon to set up shop. do you get a free carabao ride with that? Love coconut. The water I like well chilled- no ice please. I never though to eat it the way you described. I will have to try that. Roasted coconut makes a lovely chutney. It's so difficult finding young coconut here in NYC. I think there's one store in the Lower East Side that sells it, and then only in the summer. And now, on seeing your post, I have a craving for it. hi sorina, thanks for stopping by! wizzy, roasted coconut chutney is lovely. do you have a recipe you can share? stash! did you see this NYT article? the writing is gag-worthy, but it mentions a few places that sell young coconut in the city. This is a wonderful japanese-style presentation. I wish I lived in a country where I could eat fresh coconut every day! This looks fabulous. I have noticed the availability of young coconuts recently and didn't know how to make the best of them. Thanks for the inspiration!